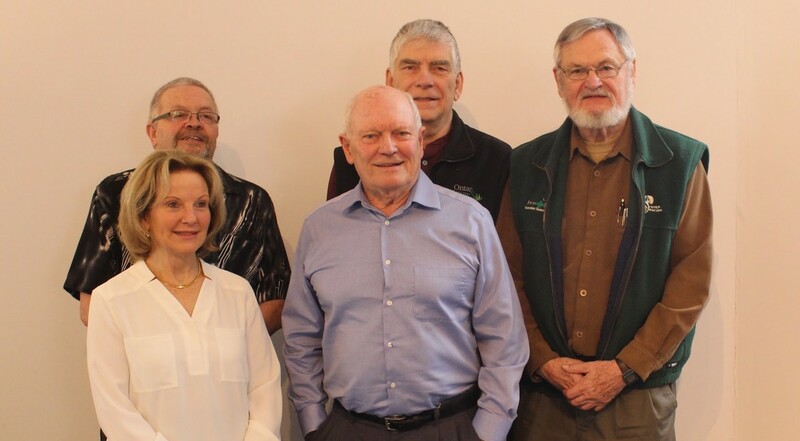 2019-20 SCGC executive board: Charlene Strudwick, Phil Brennan,Tom Kurtz, Al McNair and Sandy Agnew. On Sunday, April 14, the Simcoe County Greenbelt Coalition (SCGC) held its annual general meeting to reset focus on upcoming priorities and vote in a new board. With 35 member groups from across the county as well as individual members, SCGC sees its role as a connector between all the various groups who are looking to build a Simcoe County that is fairer, healthier and sustainable. The organization’s pledge remarks on the importance of water, farmland and green spaces to our economy and its future health. It is for that reason, that SCGC is working to ensure that Simcoe County grows in a way that doesn’t threaten the root of local jobs, but builds on it. Key issues going forward will be ensuring the Lake Simcoe Protection Plan stays strong, expansion of the Greenbelt over our most vulnerable water sources, forests and wetlands and encouraging community development that addresses affordable housing, climate change and financial sustainability. The organization announced in its AGM that it will be pushing once again to have the most sensitive water sources and natural areas better protected through Greenbelt expansion. The Greenbelt over these areas would be a cost saving measure for municipalities as they grapple with rising costs of mitigating climate change, flood prevention and water treatment. But the permanence and strength of the Greenbelt worries some industries like aggregate and land development. People who want to learn more about the organization or become a member are urged to go to the website: simcoecountygreenbelt.ca.